Basem is a 60 years old woman living in Dakar IDPs camp. She has three kids: two boys and one girl. One of her sons has left home leaving his two young kids there with Basem. So now there is 7 people sharing the small space of a tent and no one is working. 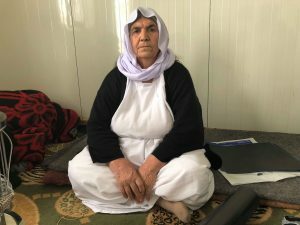 Specifically, her first son who is still at home has been trying to find work since displacement to help support Basem and the family, but it has been extremely hard for them to find any sort of employment. 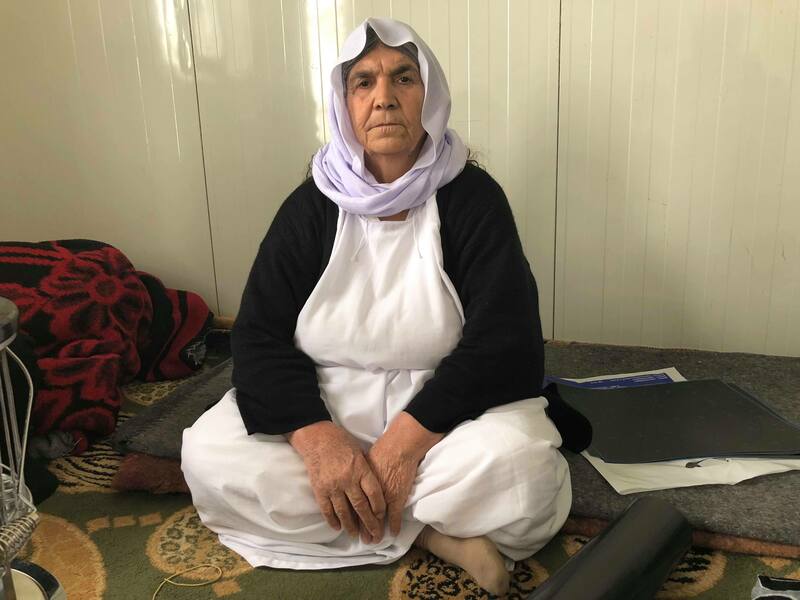 Since last year Basem has been affected by a strong back pain which prevents her from taking care of the family as usual. In addition, she is in need of expensive medications that she couldn’t afford. She has been finally prescribed an operation for her lower back which can greatly help her. This operation costed 9000 dollars but she had no means to pay such price. Thanks to your donations, we were able to support Basem and she finally underwent this delicate but essential surgery. Now her quality of life has greatly improved and she is able again to give her family the support needed.